- Stunning Kashan design handmade in 100% wool by our skilled craftsman. - The design has been originated from a town in Persia called Kashan, which is a province close to Tehran. 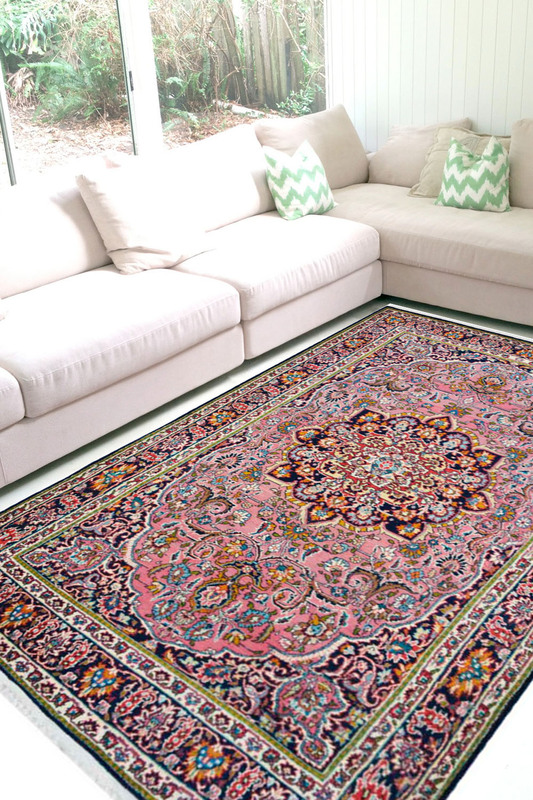 - The rug has an over all floral pattern with a round medallion in the center on a pale pink background. - The border is intricately woven on a background with tiny motifs throughout. - The primary colors are light pink, navy blue, ivory and tinges of yellow. - Rugsandbeyond's recommendation is to place this rug in a room with rich subtle interiors.